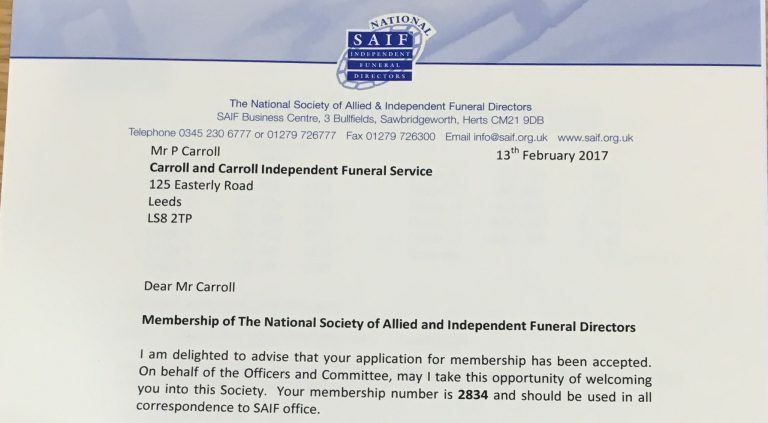 We are pleased to let our customers know that after successfully completing all of the requirements to join the National Society of Allied and Independent Funeral Directors we have recently been informed that we have been accepted as members. Here is our confirmation letter that we are pleased to share. funeral costsfuneral musicfuneral planning	 Send form.